What are The Best and Most FUN Rollerblades for Kids? Welcome the sun and warm weather! Welcome the rollerblades and roller skates! I found the coolest rollerblades for kids! When I was a kid I absolutely loved rollerblading and rollerskating! Back then they were pretty expensive, so it was a big deal for me when I finally saved money to get my first pair of roller blades! I loved rollerblading so much that I kept doing it even after I got married! In fact, my husband and I would go to our local gym and take indoor inline skating dancing lessons! Nowadays kids rollerblades are pretty affordable and of great quality! I selected here a few of the best rollerblades for kids around! Rollerblading and Roller Skating: A FUN Way to Exercise Outdoors! Cool Roller Skates for Kids! Rollerblading or roller skating is a super fun way for kids to exercise outdoors in the sun and to spend some quality time with the family!! Even better if mom and dad can join them! While they try to balance themselves and roll at the same time, they will be using their leg muscles! They also greatly improve their balance and coordination skills, not to mention notion of space and fast decision making! At the same time they are also working their heart muscles and getting that blood pumped! I can’t think of a more fun way to spend time with the family outdoors on a beautiful and sunny day! If you have dogs you can also take them with you! They are gonna love chasing you guys while you roll! 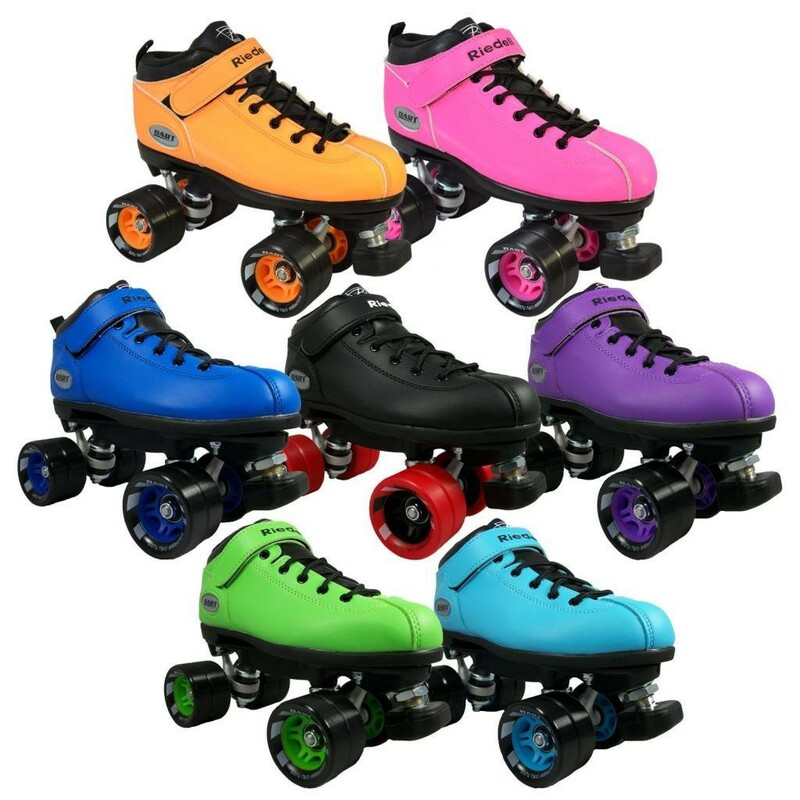 Rainbow Speed Skates in all fun and bright colors! 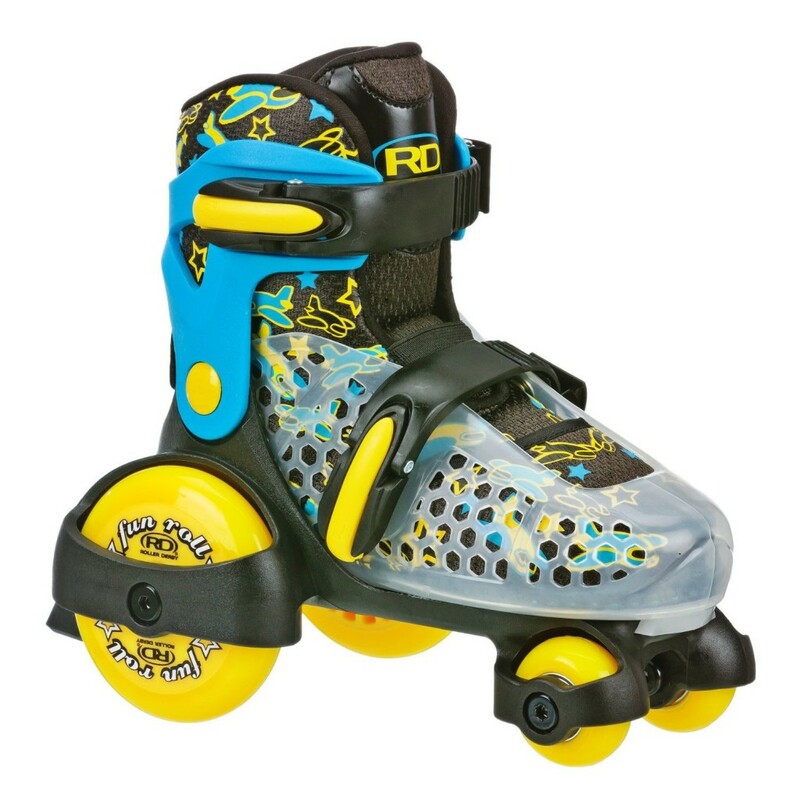 Great Pair of Colorful Speed Roller Skates for Kids! This gorgeous, fast and affordable pair of rainbow speed roller skates for kids is awesome! Available in all sizes and all fun colors! I love all the fun colors so much that I think will get one in each color! 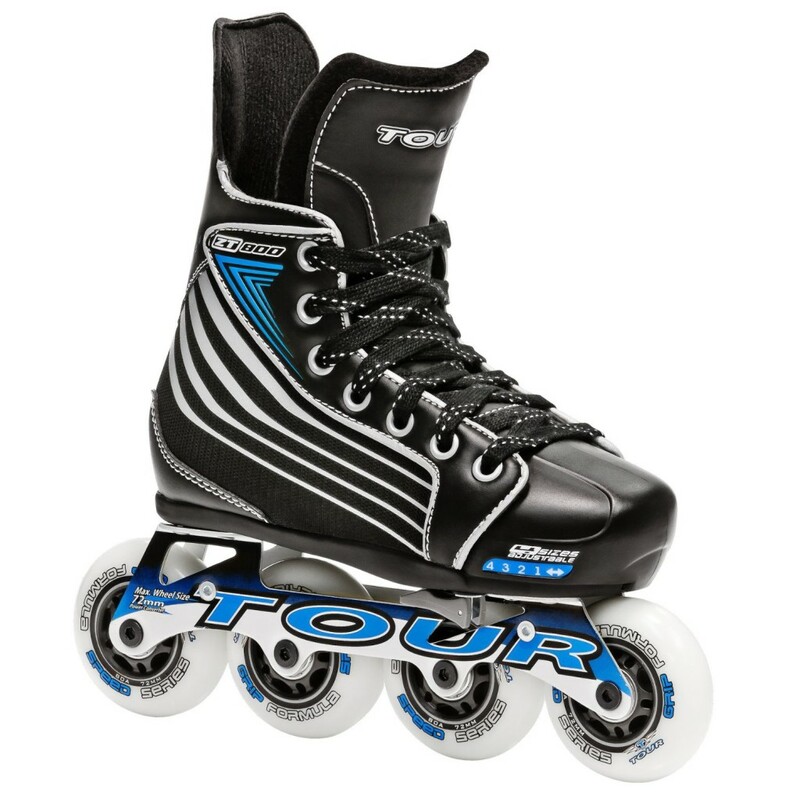 Cool Adjustable Hockey Skates for Boys! If roller hockey is your child and teenage boy’s thing, then this awesome pair of junior hockey states will make a great birthday gift idea! Very strong and very durable, yet a lightweight boot that is formfitting and breathable. Professionally built for serious rink performance! Pink BARBIE Roller Skates for Little Girls Ages 2 to 4 Years Old! Gorgeous pair of Barbie roller skates! Perfect gift for your active little girl! Happy buyers say it’s just perfect for a 2 or 3 year old little girl! They are also pretty sturdy and very, very cheap! Best Roller Skates for Toddler Boys! What a cute and colorful pair of roller skates for kids! Your little ones will have a blast learning how to roller skate! I had similar ones when I was a little girl and I had so much fun! Encourage kids to play outdoors as often as possible! These will fit toddler boys ages 2 years old to about 5! Perfect beginner roller skates for small children! You are also going to love the price! Best Adjustable Kids Inline Skates 2014! Did you know that rollerblading keeps kids from getting ‘bored’ and can also prevent child obesity? All it takes is a few minutes a day! 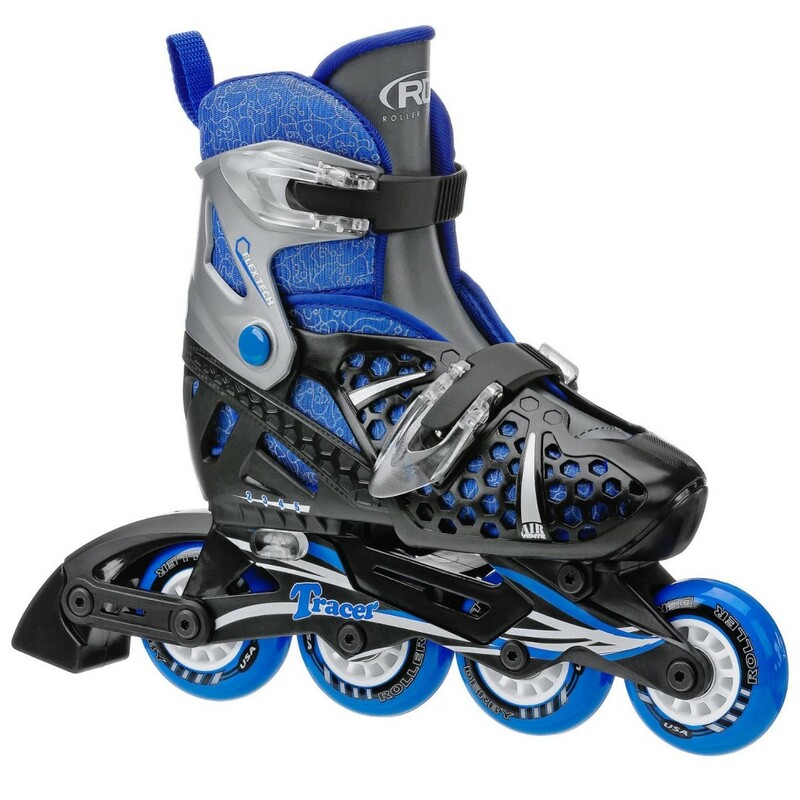 Awesome and extremely affordable boys rollerblades! It is the latest model! They are also adjustable and will ‘grow’ with your children feet! This is a great feature to have, since kids feet grow so fast! 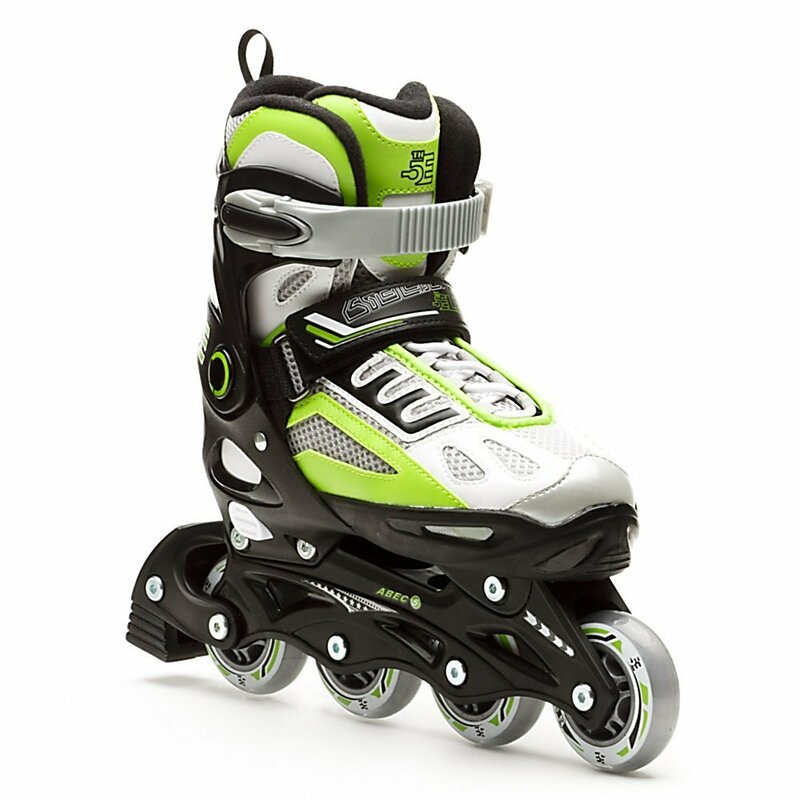 Excellent first pair of rollerblades for boys who just started learning how to inline skate! Will fit boys of all ages! Cute Pair of Spiderman Rollerblades for Little Boys! 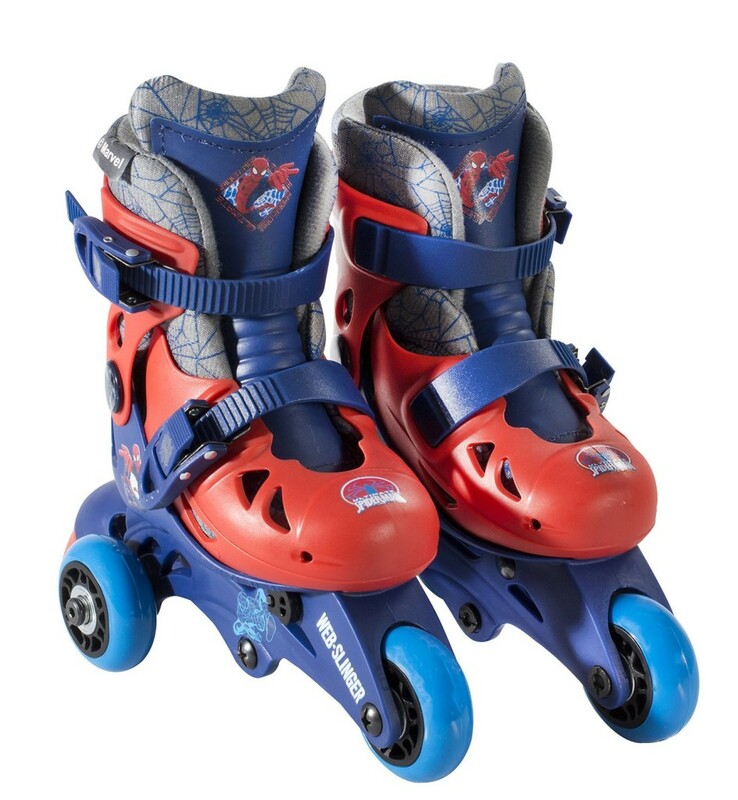 Cute pair of Spiderman rollerblades for boys ages 4 and 5 to about 7 or 8 years old! The wheels are very smooth and they offer great ankle support as well! As you can see they are also ‘convertible’! You can convert them from to roller skates to 3 wheel inline skate! Your little boy is gonna love to ‘zoom’ around the house on his very cool Spiderman ‘wheels’! Best Adjustable Quad Roller Skates for Girls! This is one of the cutest five star pair of adjustable roller skates for little girls of all ages! They are very nice and sturdy, very affordable and very comfortable to wear! They roll super smoothly too! What I most loved about them are the cute colors and design! 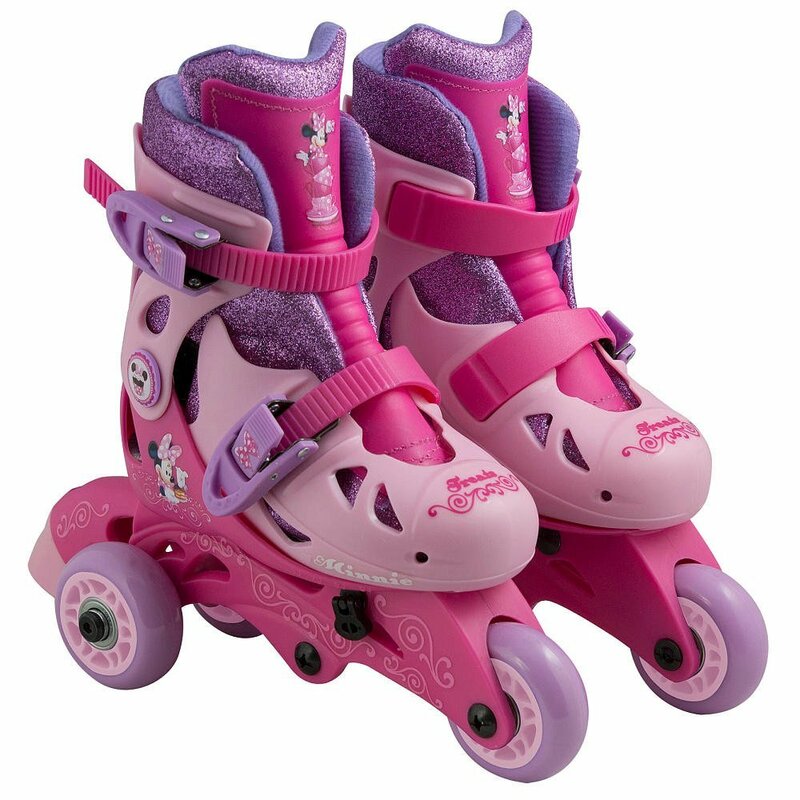 Adorable Disney Minnie Pink Convertible 2-in-1 Kids Skates for Girls! Another cute pair of convertible roller skates for girls! They will convert to fun 3 wheel inline skates! Very smooth and adorable to look at! Perfect gift for your little girl’s 3rd or 4th birthday! 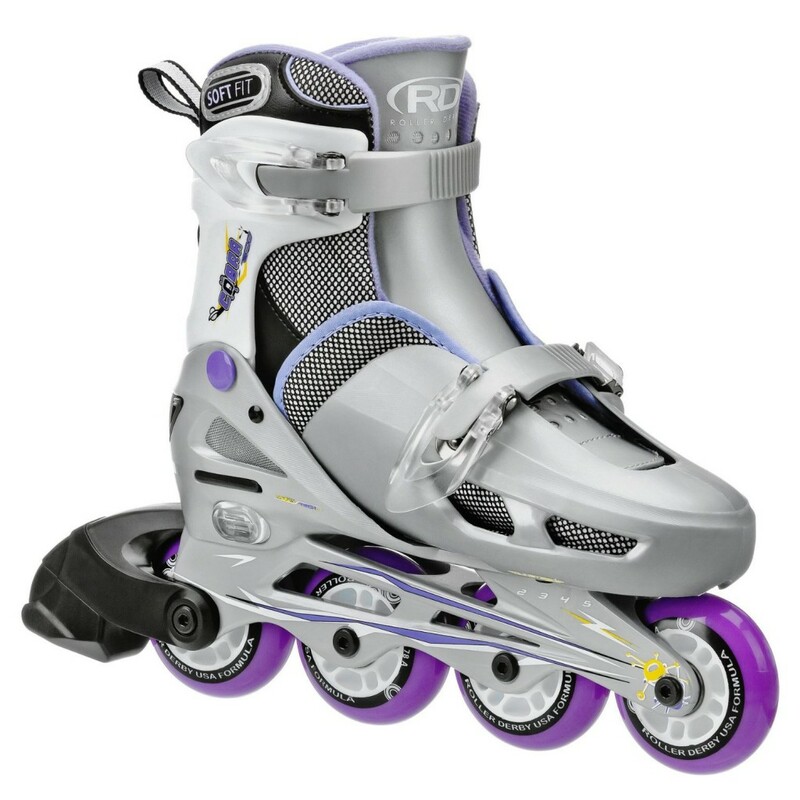 Great pair of Rollerblades for Girls ages 6 to about 13 years old! 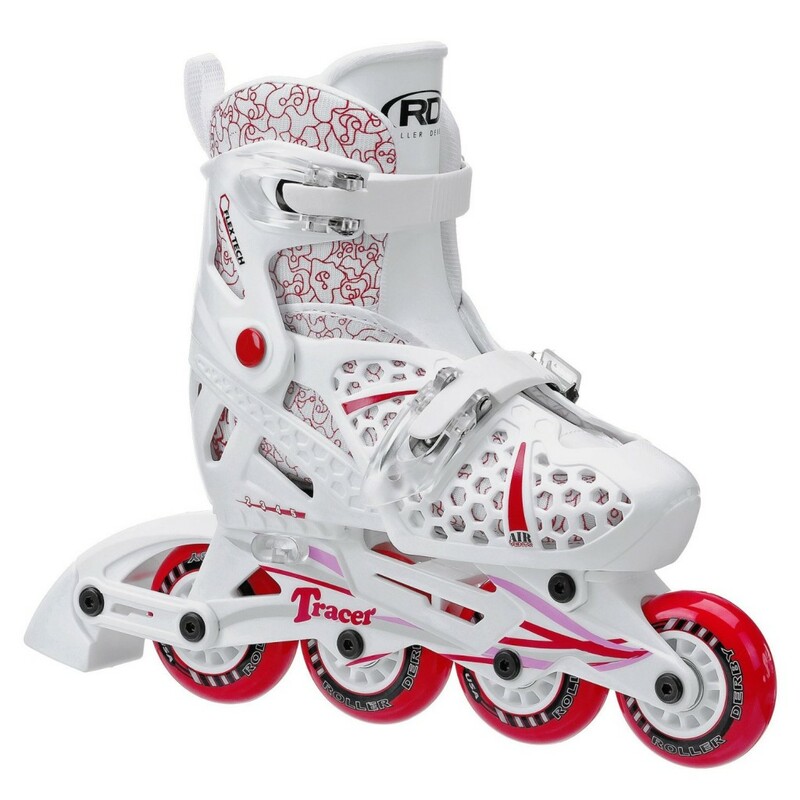 This is one of the best pairs of adjustable rollerblades for girls between the ages of 6 to about 13 years old! They have a very nice fit, they are very easy to adjust and they are very durable too! Great gift idea for 6, 7 and 8 year old girls! Perfect way for them to spend some time outdoors exercising! 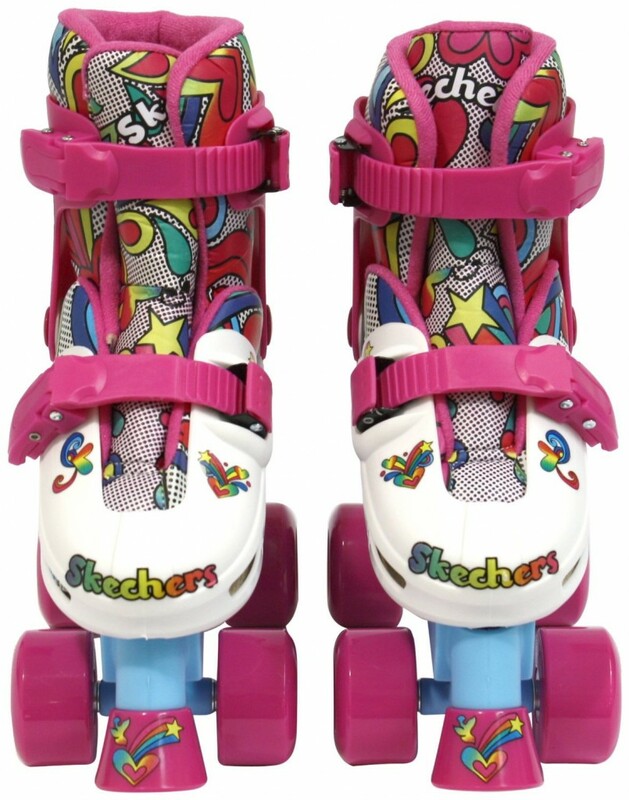 Awesome Rollerblaes for Girls Ages 5 to 10 Years Old! More fun reasons to go rollerblading! *It is a fun family outing! *Mom, dad, dogs and kids can exercise outdoors together! *It keeps children away from the couch and video-games! *Will greatly improve their balance, coordination and strength! *The rolling sensation is fabulous! *One more excuse to spend time outdoors! *Is there a more FUN way to breathe some fresh air? *I’m sure you can also come up with even more reasons to get a fun pair of inline skates and hit the great outdoors! *Check out this Asian Kid With Mad Roller Blading Skills! If that doesn’t make your child interested in learning how to rollerblade nothing else will!